Bridal market week is truly as romantic as it sounds. 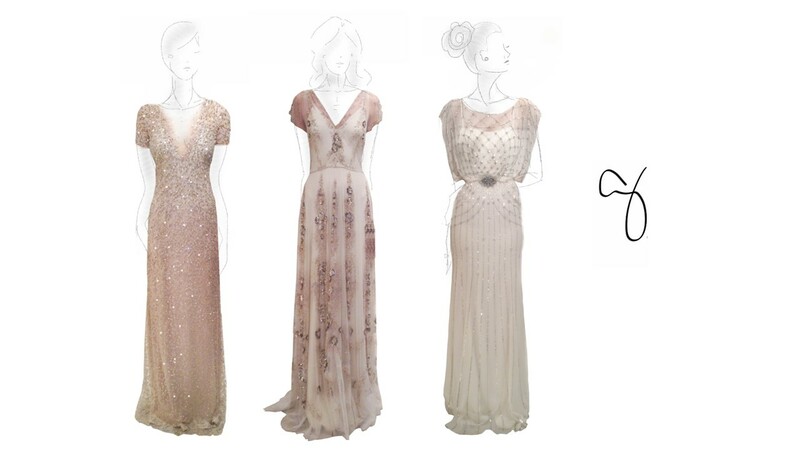 Today, a good friend of mine gave me a glimpse into the world of renown bridal gown designer, Jenny Packham. Her whimsical designs sent me back to the mansions of The Great Gatsby and the roaring 20’s. Romantic, feminine, and playful.. these dresses are truly timeless. I love how this antique look easily translates to the modern day.